We live in a digital world but many people still use cash. Make an ATM a reality in your business with no extra fees and hassle-free 24/7 service by contracting with Rendezvous Music & Vending. There's no hassle, we provide everything from the ATM, the bills to restock your machine and we always make sure your machine is regularly serviced. Contact us to discuss how you can increase your business' customer traffic, sales, and profits, while at the same time reducing your credit card costs and your exposure to bad checks. 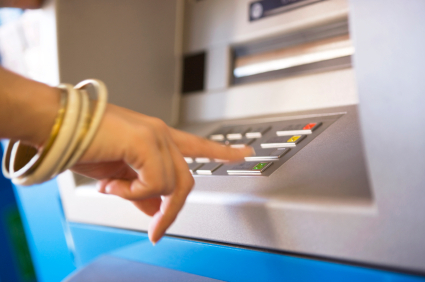 We will tailor an ATM program to suit your needs. Call Rendezvous Music & Vending at 800 660 6773 or email andy@rendezvousmusicandvending.com to schedule a free ATM site evaluation. Eureka, Arcata, Fortuna, McKinleyville, Trinidad, Rio Dell, Scotia, Garberville, Crescent City, Willow Creek, Weaverville. We also service Humboldt, Del Norte, and Trinity county as well as Brookings, OR which is in Curry County. Rendezvous Music & Vending © 2017.